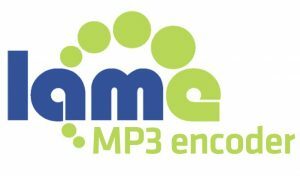 LAME is today the source code for a fully LGPL’d MP3 encoder and in quality and speed it is still much better than the commercial versions available on the market. There have been a number of updates over the years and the last three updates have been added here. The LAME 3.100 version is the latest and before that it was last updated in 2012. What LAME does is to allow you to rip audio CDs and copy them with a good enough audio quality and a much smaller space is needed for the new audio files. The ripped audio files are compressed with CBR, VBR and ABR. CBR in LAME creates a constant bitrate which means that the quality is even and you can predict the size of the end file. This is going to be important if you want a quality rip of your CD music to something more portable. VBR is also important as it helps to create a very small sized file. The bitrates here do change as the file changes while it is going through it. ABR is a combination of the two. Psycho acoustic algorithms and many others.